IFEDA, the Independent Fire Engineering & Distributors Association, were recently made aware of a news article which advised that Castles and Coasts Housing Association, Whitehaven, Cumbria had removed fire extinguishers in communal areas of their properties. Residents at the property have apparently been told that ‘it is not considered necessary to provide fire-fighting equipment in the buildings and such equipment should only be used by people who have been trained’. The letter goes on to state: ‘It is not considered appropriate or practicable for residents in blocks of flats to receive such training’. IFEDA is questioning the reason behind this decision. IFEDA, as an independent trade association, promotes quality standards and procedures within the fire safety industry. Further details about IFEDA can be found at www.ifeda.org or by emailing info@ifeda.org. This entry was posted in Latest news on April 15, 2019 by Kay Smith. BAFE SP206 : New scheme for Kitchen Fire Protection Systems. 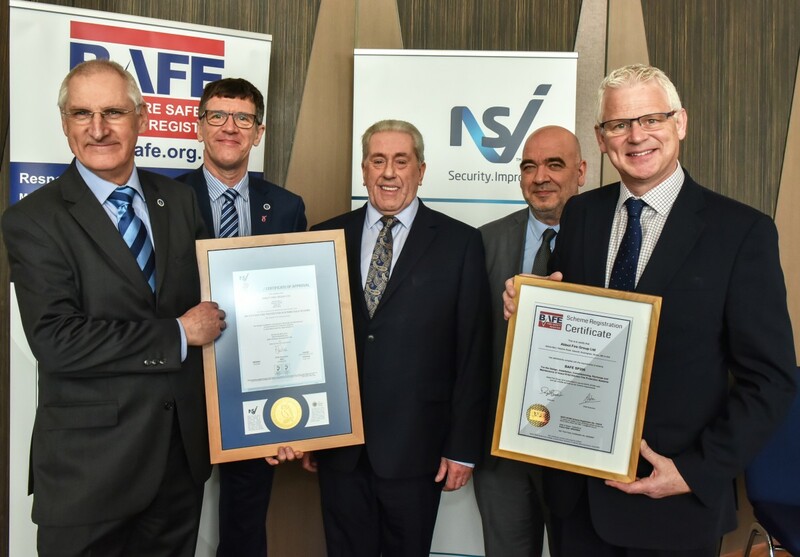 Please find a link below to a joint press release from BAFE and NSI discussing their first Third Party Certification/BAFE Registration to the new BAFE SP206 scheme for Kitchen Fire Protection Systems. This entry was posted in Latest news on April 12, 2019 by Graham Ferris. IFEDA, the Independent Fire Engineering & Distributors Association is celebrating 30 years of raising standards within the fire protection industry. 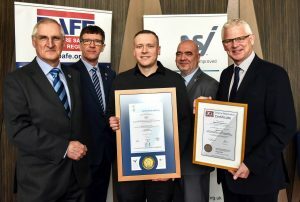 The association was formed on a desire to bring fire extinguisher technician training to the independent fire trade beyond the confines of the manufacturing companies. Credit for the association should go to Mr Dave Hulse and his company National Fire Training. Through his good offices and at the direction of the founding committee members, IFEDA quickly added what was to become one enduring principle, which is the stated aim of raising quality standards within the fire protection industry through third-party accreditation, initially being BS5750 and lately ISO 9001. IFEDA members are fire protection service companies, and membership works on the democratic principle of one member, one vote. From humble beginnings, IFEDA board members now sit on various industry committees including British Standards workings groups for fire alarms, fire extinguishers and fire safety signage. In addition they also sit on various BAFE scheme committees including fire extinguisher technicians, fire alarms, kitchen suppression and the dry/wet riser scheme. This ensures that IFEDA members’ voices and points of view are represented across the industry. This entry was posted in Latest news and tagged 30 years, fire industry association, IFEDA, raising standards on March 14, 2019 by Kay Smith. IFEDA, the Independent Fire Engineering & Distributors Association, welcomes Mike Tobin as the new Chairman of the association. Mr Tobin was voted in at the recent IFEDA AGM. Mr Tobin has worked in the fire protection industry for 27 years, and is Managing Director of Security and Fire Experts Ltd (SAFE). With a background in fire detection and alarm systems, he has evolved SAFE which now provides fire extinguishers, security, and electrical installations to clients worldwide. This recent growth ensures Mr Tobin is up-to-date with fire safety systems and legislation. Having been an active member of IFEDA for 6 years, it was a natural progression for him to be voted in as Chairman of IFEDA. This entry was posted in Latest news on November 1, 2018 by Kay Smith. This entry was posted in Latest news on August 21, 2018 by Graham Ferris. This entry was posted in Latest news on March 16, 2018 by Graham Ferris. Please be aware that the IFEDA Office will close at 12:00 noon on Thursday 21st December and re-open on Tuesday 2nd January. This entry was posted in Latest news on December 15, 2017 by Graham Ferris. This course will be postponed until the New Year. Apologies but it has not proved possible to get the trainer from the far North to the Chester training location due to deep lying snow and blocked roads. The full extinguisher course due to start on Tuesday will go ahead if, as expected the conditions improve and the roads clear. This entry was posted in Latest news on December 10, 2017 by Graham Ferris. This entry was posted in Latest news on October 9, 2017 by Graham Ferris.